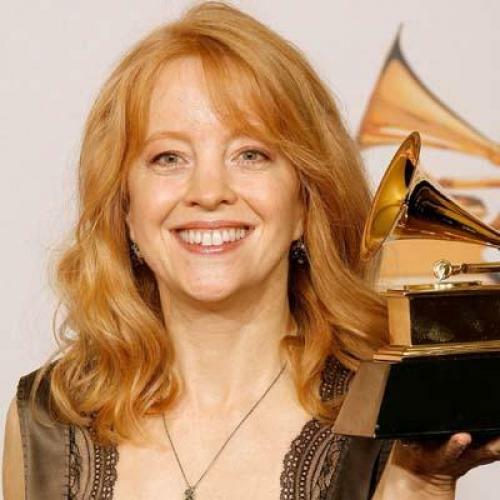 The first of two good reasons for raising glasses and ringing bells during the winter holiday season falls on Thanksgiving week, when Maria Schneider, the composer and conductor, brings her twenty-piece orchestra to the Jazz Standard for its annual residency. Schneider has been doing this for nine years now, and the occasion has become one of the most anticipated events of the New York jazz calendar, along with the Bad Plus's Christmas residency at the Village Vanguard just a few weeks later. (That’s the second reason for celebration.) The unfeigning seriousness and free emotionality of Schneider's music almost counter-balance the oppressive commercial plasticness of the holiday season in New York. I don't know how to say this without sounding hypey, so I'm just going to state bluntly that the opening-night show of Schneider's run this week was among the most thrilling evenings of music I have ever experienced, and I have heard literally thousands of concerts in my life as a music writer. Schneider, once too indebted to her mentor Gil Evans, then a bit unfocused, has achieved full bloom as a composer. Her music, a form of large-canvas music for big-band instrumentation, is wholly her own, formally complex, exacting and, above all, richly emotive. That is to say not only that it has emotional power; more impressively and uniquely, its power is employed to stir a wide and varied range of emotions--ardor, yes, but gloom and fury sometimes, too. To recognize Schneider's music as emotional is not to devalue it as merely romantic or to mistake it for something feminine. It is an insult to Schneider's mastery as an artist to presume--as some people in jazz do--that Schneider is naturally endowed by her gender to make emotional music. Besides, if Schneider's being female accounts in any way for her art, conservatories should start dispensing estrogen. A videographer has been recording Schneider's concerts this week, though none of the videos is edited yet. I'll post a choice one or two as soon as possible. As a taste of what she has been up to, here is a clip of a performance of Schneider's swirling "Pas de Deux," filmed at the Jazz Standard in 2004. She is even better now.